BREAKING NEWS! MECP2 Duplication Syndrome is Reversible! Check out the newest article from the 401 Project on the Get Involved Page. My name is Pam Albert and I am the mother of 3 children – Amber, Noah and Braden. Noah passed away on March 24, 2006... a month away from his 6th birthday. At the time of his passing, he had not been given a diagnosis, despite our efforts of having him seen by many doctors and put through numerous tests. Doctors suspected that he had a mitochondrial disorder. On July 21, 2004, I was blessed with another son, Braden. We knew that something was wrong when we noticed he wasn’t tracking items with his eyes, was very floppy and not achieving milestones such as sitting and crawling. 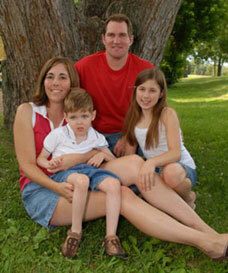 When Braden was 2 years old, he was given the diagnosis of MECP2 Duplication Syndrome. Shortly thereafter, some of Noah’s frozen blood was tested and it was confirmed that he, too, had MECP2 Duplication Syndrome. It wasn't long after being told that Braden was diagnosed with MECP2 Duplication Syndrome that I started searching the Internet, only to find limited information. What information I did find was rather difficult to understand. I then worked with a friend to develop this website where families affected by MECP2 Duplication Syndrome could join together, share stories and work together to bring awareness to this syndrome. Since the origination of this website in 2008, many friendships have been formed among the families. We share a common bond... we love our children unconditionally, regardless of their limitations, and we are united in our hope as we work in pursuit of a cure for this debilitating disorder.